A simulation shows how stellar winds carry mass from a giant star over the course of millions of years, forming bubbles around it—which could have served as the origins of our solar system. Simulation by V. Dwarkadas/D. Rosenberg. Scientists with the University of Chicago have laid out a comprehensive theory for how our solar system could have formed in the wind-blown bubbles around a giant, long-dead star. Published December 22 in the Astrophysical Journal, the study addresses a nagging cosmic mystery about the abundance of two elements in our solar system compared to the rest of the galaxy. 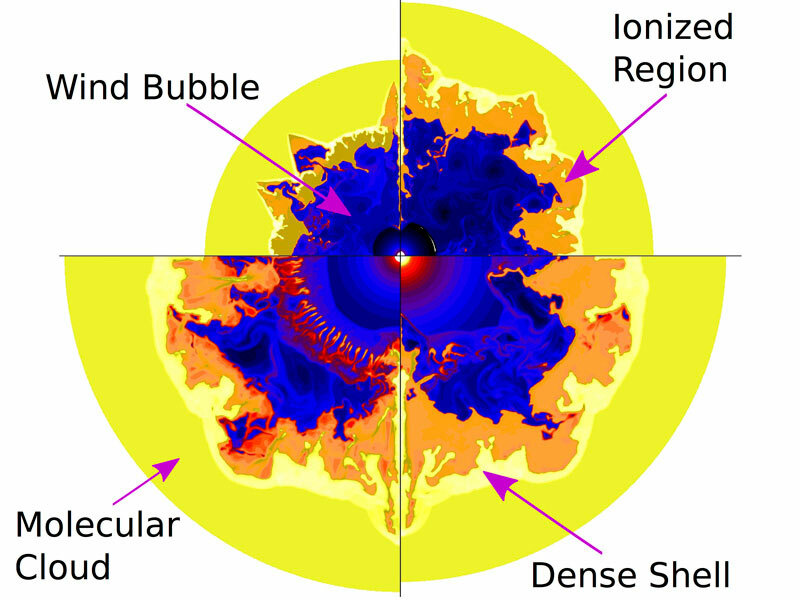 Be the first to comment on "Solar System Could Have Formed in Bubble Around Giant Star"